The maximum filling temperature we would recommend is 85 degrees C. However plastic will soften at this temperature and we would advise that you cool the bucket before lidding and stacking to avoid implosion or collapse. We advise that you carry out tests. 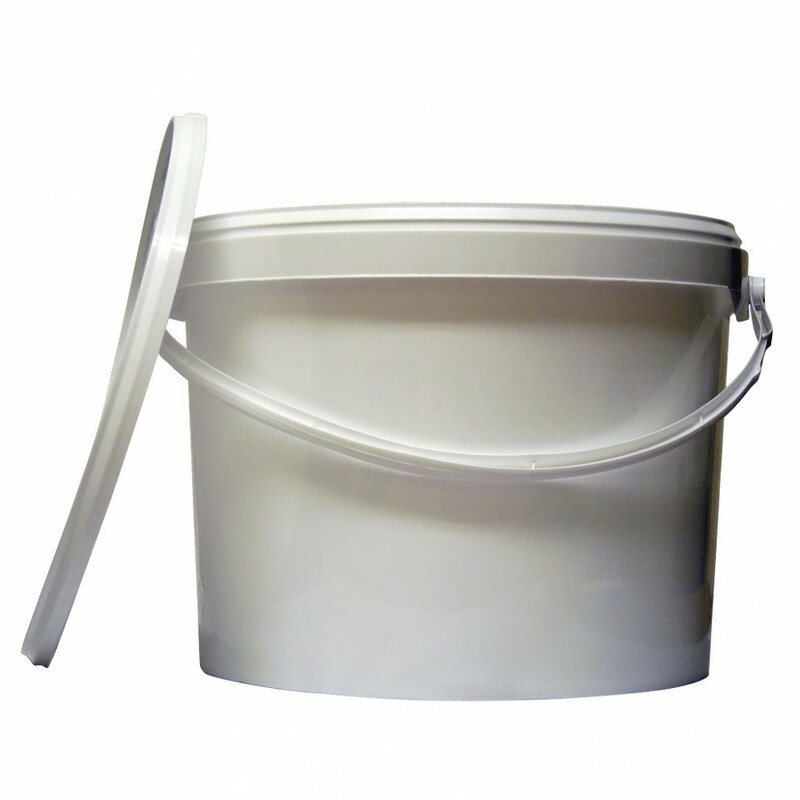 5.6 Litre (15lb) food grade plastic bucket supplied with white plastic lid. Tamper evident lid. Plastic handle.